NEW SMYRNA BEACH, Florida - Three people were bitten in separate shark attacks that occurred within hours of each other off the east coast of Central Florida Florida. Around 10:30 a.m. on Sunday, September 18, 2016, a 43-year-old Longwood, Florida man was bitten by a shark in the lower leg while surfing just south of the New Smyrna Jetty, according to Volusia County Ocean Rescue officials. Then, a 36-year-old Miami, Florida man was bitten on his hands while surfing in the same area. Just 2 hours later, a teenage surfer was also bitten on his thigh off New Smryna Beach. 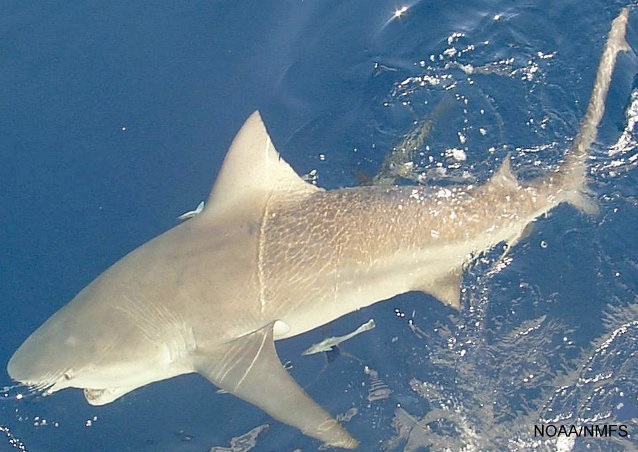 There was a Full Moon just two days before the shark attacks - a favored time for anglers to go shark fishing during increased feeding activity. Additionally, there were a higher number of surfers in the ocean this weekend due to the large waves generated by Tropical Storm Julia. Florida holds the dubious title of having more shark attacks than any other state in the United States. According to the University of Florida International Shark Attack File, the Sunshine State accounted for 51% of the unprovoked shark attacks in the United States and nearly a third of the world's total shark bites in 2015. Volusia County, which includes New Smyrna Beach, had the second most amount amount of shark attacks in the Sunshine State while neighboring Brevard County (Cocoa Beach area) placed first.